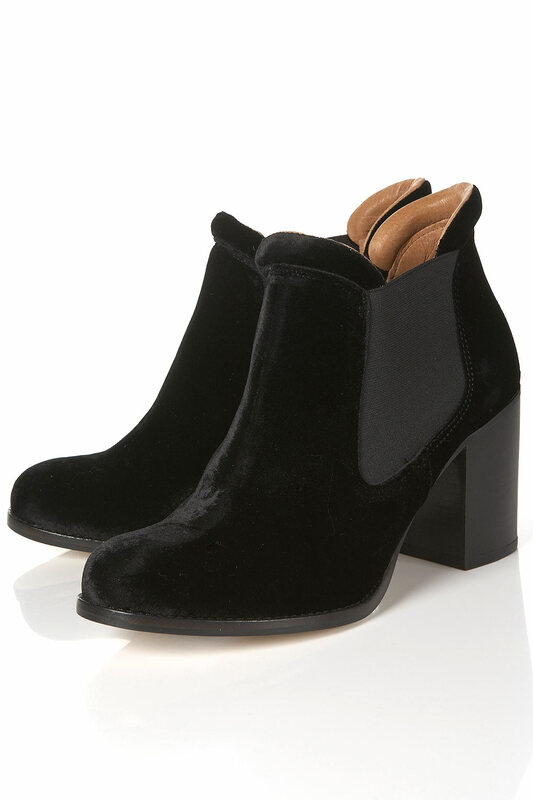 I spotted these on fashiontoast and thought I'd share - as I've found a really similar pair at Topshop that I bought when I supposed to be searching for sensible work shoes - oops. Love these, and they are so perfect for a little bit of understated oomph to an outfit. I wear mine with everything - from jeans to little dresses. Addicted to them to be honest, picture below and they're only £75. They come in navy blue too which I really like the look of. Buy them here. Gorgeous, love that they are velvet! Great find! I saw them on her blog, too...they are gorgeous!